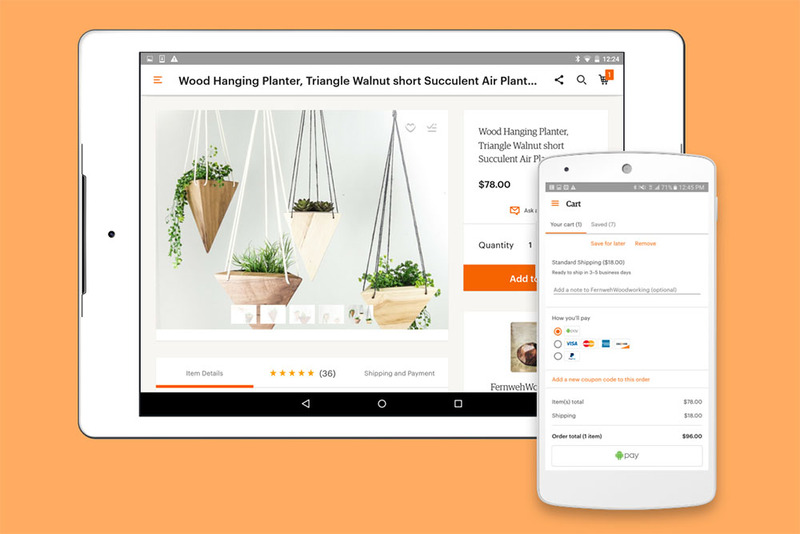 Checking out through the Etsy app is now easier than ever, thanks to the addition of Android Pay as a payment option. Starting today, Etsy users will be able to checkout with a couple of taps through Android Pay rather than fumble around with credit cards and numbers. For those interested, you’ll need to have Android Pay setup and a supported card attached. Once you have done that, the checkout process for Android Pay simply asks that you confirm your payment option with a fingerprint, PIN, password, or pattern. From my experience in other apps, Android Pay as a checkout option is about as good as it gets in terms of simplicity. Etsy sellers looking to take advantage of Android Pay will only need to accept payments through Direct Checkout. If you don’t see Android Pay immediately, that’s because Etsy is slowly rolling out the option.